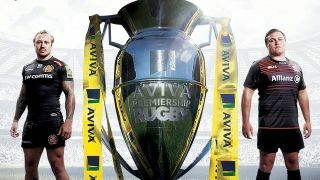 The Aviva Premiership Rugby Final is always exciting but this particular match could be taken to the next level. Exeter Chiefs are hoping to beat Saracens at Twickenham Stadium, West London to retain the title – making them the fourth side ever to do so. You can live stream all the action from the big match on Saturday May 26. It starts at 3pm BST, 10am ET, 7am PT, 12am AEST. Add to that the drama of this year where the Exeter Chiefs are hoping to retain their title against the Saracens. Yup, this win will make the Chiefs the fourth team ever to do this, joining the ranks alongside Leicester, Wasps and Saracens themselves. Since February, when Exeter lost to Wasps, they've not been defeated – that's ten games of pure winning. It won't be an easy final though as Saracens have won their last six visits to Twickenham Stadium and have been the Premiership Rugby Champions three times beating Leicester in 2011, Bath in 2015 and Exeter in 2016. All that said, Exeter have won their last four matches against Saracens in all tournaments. So it's really anybody's guess who will take this title. So, how do you get to see all the nail-biting action? We've laid out exactly what you need to do to get a live stream below so you can simply click and enjoy. UK residents will need a BT Sport subscription to watch Exeter Chiefs vs Saracens. The coverage will start at 2pm BST on BT Sport 1, and will also be available via the broadcasters various app for your tablet or mobile. Although the free-to-air UK broadcaster Channel 5 had the right to some Aviva Premiership games live, the final isn't one of them. If you don't have BT Sport, you'll have to settle for highlights on 5 on Monday evening. For US rugby fans with NBC Sports, you're in luck as you can simply watch the entire final from that broadcaster. But if you have to pay for that there are other options below, or you can use a VPN to tune into a broadcast from another country. DIRECTV NOW $50 per month - DIRECTV NOW gives users all the channels needed to watch the racing and loads of other sporting events. Use DIRECTV NOW’s 7-day trial will let you test out the platform. Canadians will have the match aired on Rogers/Sportsnet World. Don't have access? Fret not. Canada can still enjoy the Aviva Premiership Rugby Final and for absolutely free. DAZN is a streaming service available in a select few countries including Canada, Germany, Austria, Switzerland and Japan. Luckily, it has secured streaming rights for Premiership Rugby. You can watch for free as DAZN offers a 30 day money back option. You'll have to sign up for the service but if you don't like it you can get your money back within a month of you signing up. Now, if you're not in one of those countries, you could in theory use a VPN to dial in to, say, Germany, and also get this free option. Your main hurdle will be that you will need a credit card registered in one of the participating countries in order to sign up. If you want to try this option from the US or UK we'd recommend doing it via ExpressVPN. Have had a look to see whether there will be any coverage down under, but it seems not. Usually Fox Sports is a good bet, but it doesn't seem to have the rights for the Aviva Premiership final So that means you'll have to grab a VPN and go for one of the other options on this page. New Zealand fans of the Rugby Premiership, rejoice, the final is coming to you on Sky Sports 3. That means that the network's apps for watching on the go are also in play. If you can't get to that, there are other options. Just look around this page to see how getting yourself a VPN to enjoy every tackle as if you were right there at Twickenham. Where else can I watch the Premiership Rugby Final using a VPN? A VPN will enable you to watch the Exeter Chiefs vs Saracensl from literally anywhere. So that obviously includes: France, Italy, Argentina, Finland, Israel, Germany, Denmark, India, Netherlands, Brazil, Belgium, Romania, Mexico, Sweden, Portugal, Czech Republic, Ireland, Poland, Kenya, Hungary, South Africa, Indonesia, China, Nigeria, Bangladesh, Russia, Japan, Egypt and more!